ABC may have cancelled Secret Millionaire but they aren’t done with the reality series just yet. The network has decided to run the six remaining episodes starting Sunday, August 4th, at 8pm. It’s taking over the timeslot from Celebrity Wife Swap which wraps its nine episode season this Sunday. The August 4th episode of Secret Millionaire is set in Baltimore, Maryland and the August 8th installment takes place in Phoenix, Arizona. Future locations include Richmond, California; New Orleans, Louisiana; Mobile, Alabama; and Oakridge, Oregon. The series finale is expected to air on September 8th. What do you think? Do you like this feel-good reality series? Will you be watching the leftover episodes? Sunday TV Show Ratings: NFL Football, Secret Millionaire, Unforgettable, Big Brother, Whodunnit? Secret Millionaire: Cancelled? No Season Four? 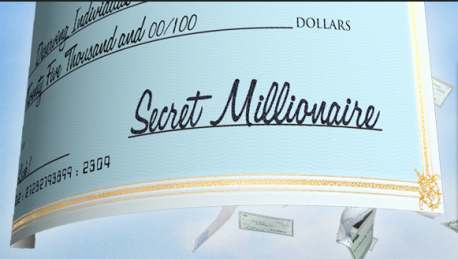 Secret Millionaire: ABC’s Reality Show; Cancel or Keep It? This was a great show. Sorry it was cancelled. Seems like positive shows get the boot and degrading shows stay on. Shame. Don’t miss this show a bit and I’m not surprised it was canceled. To feature people like that fake and phony Debbie Johnston was a new low. Good riddance! This is one of the best series in a long time. I wish we could watch this every year. Great for family and young students. One can learn life lessons in may different ways. Community service, giving, sharing and helping others are key to a peaceful and happy life. Today’s young students need to learn and realize this. Love love love the show. We should have more feel good, non-violent, non bloody shows on the air like this one!!! My family and friends just loved every episode and would never miss it. I was excited to see it coming back on……the found out it’s still cancelled. What’s wrong with ABC? Don’t miss it a bit…won’t watch it a bit.